Monica Crowe has written professionally since 2008. She was a reporter for the "Ruston Daily Leader" and editor of "Living Well" magazine. Crowe is the recipient of a first-place Louisiana-Mississippi Associated Press award. She studied at Louisiana Tech University and is now pursuing a certification from the National Academy of Sports Medicine. It's one of the best days of your life. You've given birth to a beautiful baby, but perhaps your bundle of joy is not the only new arrival. You might notice you have developed new allergies after pregnancy. If so, you are not alone. "The New York Times" reports that due to weakened immune function, it's not uncommon for women to develop allergies after giving birth. As well as sudden onset of food allergies, postpartum women might also develop an allergic skin rash, pruritic urticarial papules and plaques of pregnancy, also known as PUPP. Cleveland Clinic says that during pregnancy, a woman's immune system becomes slightly suppressed to keep her body from rejecting her unborn baby. According to "The New York Times," being exposed to an allergen when your immune system is suppressed can trigger the development of a new allergy. Furthermore, most people who develop allergies in adulthood experienced an allergic reaction, whether eczema or seasonal allergies, during childhood. The allergies diminish during adolescence, only to return later in life. Another theory is those with adult-onset allergies might not have been exposed to many allergens during childhood. A food allergy is the body's immune response to otherwise harmless food substances. Common food allergies include milk, eggs, soy, peanuts, tree nuts, wheat, fish and shellfish. The University of Maryland Medical Center says about 2 percent of adults are actually diagnosed as having food allergies. However, about 25 percent of people believe they are allergic to foods, UMMC reports. Sometimes, what is thought to be a food allergy is actually an intolerance, but food allergies produce symptoms within two hours of ingestion. Common allergic reactions are hives, nausea and vomiting, stomach cramps, dizziness and others. Life threatening allergic reactions include swelling of the throat, increased blood pressure, blue colored skin and nails and difficulty breathing. These require immediate medical attention. Treatments for your new allergy might involve simply avoiding an offending food product. 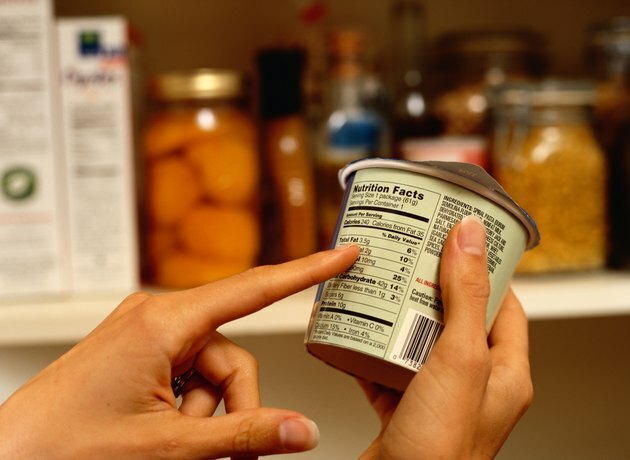 Read packaging labels, inquire about ingredients at restaurants or bring your own food to food-social events. UMMC says mild allergic symptoms disappear on their own, but doctors typically recommend over-the-counter or prescription antihistamines to relieve swelling, itching, rash, runny nose and headache. However, severe allergic reactions require immediate emergency care. If you are prone to life-threatening reactions, referred to as anaphylactic shock, your doctor might prescribe a self-administered epinephrine shot, which you should carry with you at all times. While the red, itchy bumps known as PUPP erupt in a pregnant woman's third trimester, the rash might continue to affect her for up to several weeks after delivery. If you have a rash on your belly near stretch marks, it is likely PUPP. This condition, which looks a lot like hives, typically appears during a woman's first pregnancy or when she is expecting multiple babies. 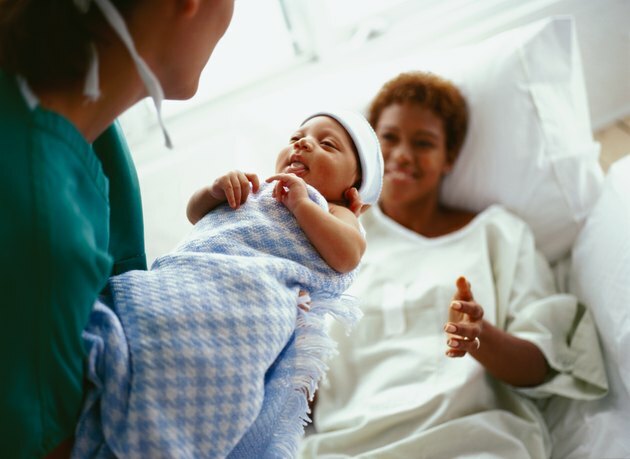 Despite the frightening appearance of the rash, this condition will not affect your baby. The SkinSight website says one in every 200 pregnant women are affected by this skin reaction that can spread to the arms, chest and legs. Thick moisturizers might ease the itching, and an over-the-counter hydrocortisone medication, as well as diphenhydramine can ease discomfort. 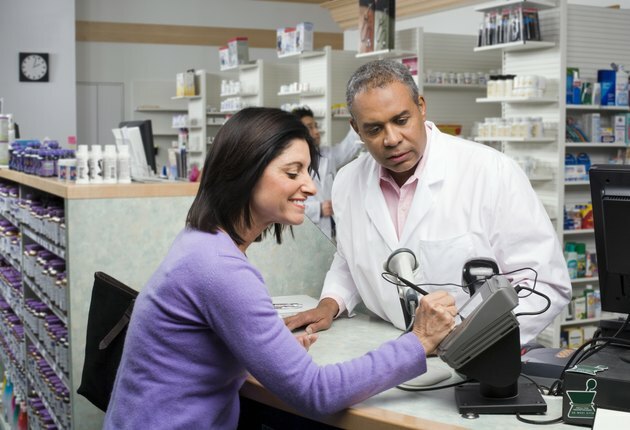 However, consult with your physician before taking any over-the-counter medications.